May 23, 2018 • Landsat 9 will continue the Landsat program’s critical role in monitoring, understanding and managing the land resources needed to sustain human life. To do so, Landsat 9 will carry two science instruments: the Operational Land Imager 2 (OLI-2) and the Thermal Infrared Sensor 2 (TIRS-2). OLI-2 is being built by Ball Aerospace in Boulder, Colorado. It will capture observations of the planet in visible, near infrared and shortwave-infrared light. 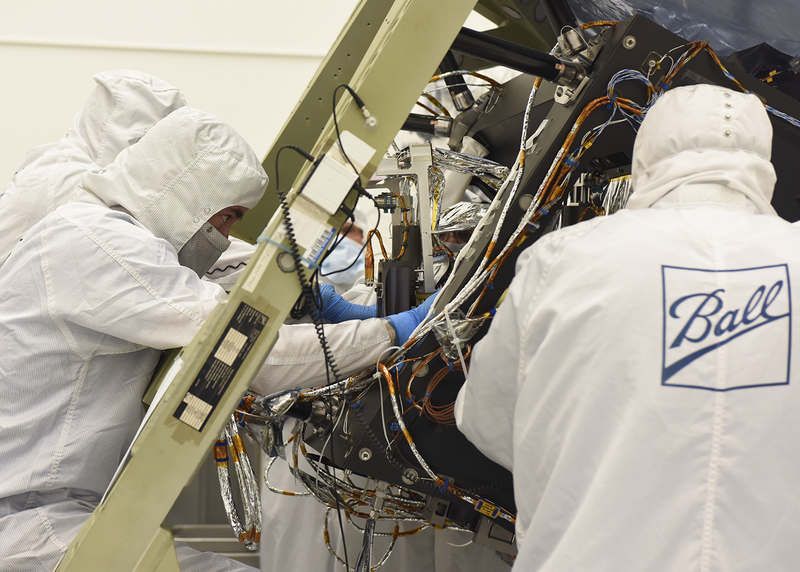 ⬆ Ball Aerospace technicians prepare to install the focal plane assembly, a 14-module detector array, into the Operational Land Imager 2, one of the key science instruments for Landsat 9. 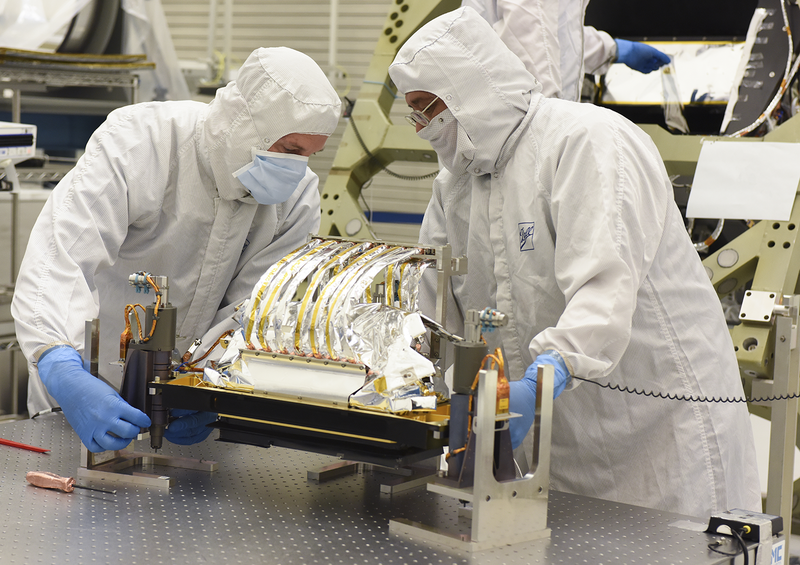 The Operational Land Imager 2 employs a ‘push-broom’ scanning method, a significant advancement in Landsat sensor technology that provides improved land surface information with fewer moving parts than older ‘sweeping’ method sensors. 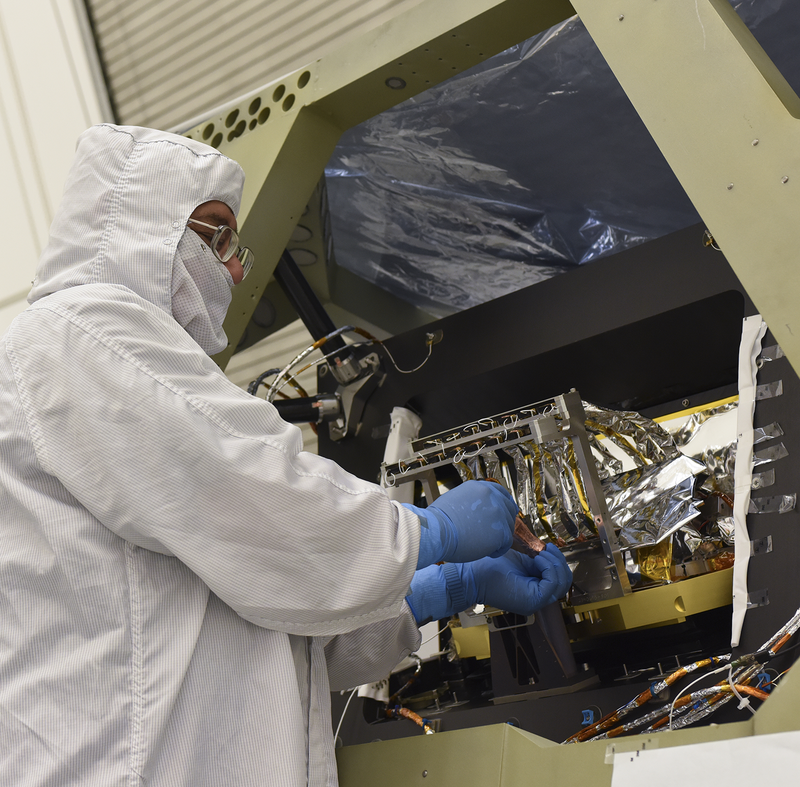 ⬆ A Ball Aerospace technician inspects the Operational Land Imager 2 for Landsat 9 during the integration of the instrument’s focal plane assembly. 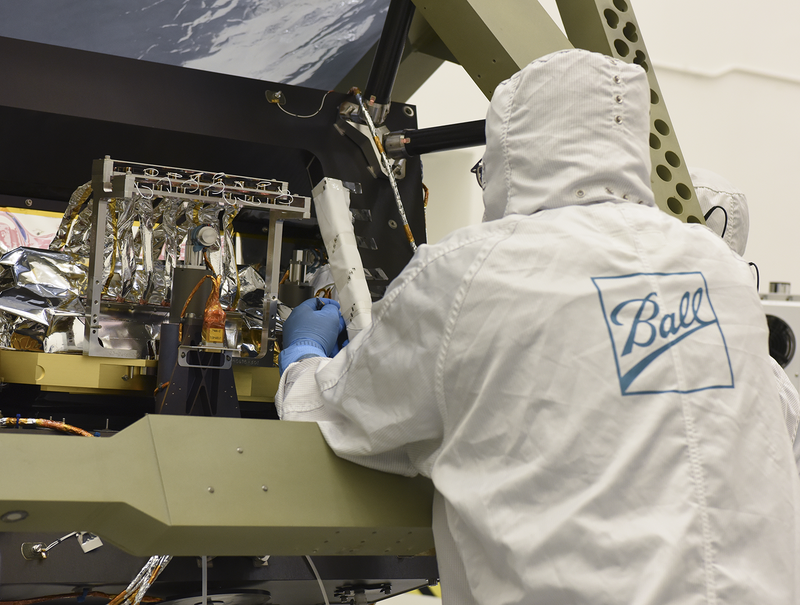 Ball Aerospace designed and built the first OLI instrument for Landsat 8, which launched in 2013. The Operational Land Imager 2 will provide 15-meter panchromatic and 30-meter multi-spectral spatial resolutions along a 185-kilometer-wide swath, allowing Landsat 9 to image the entire globe every 16 days. 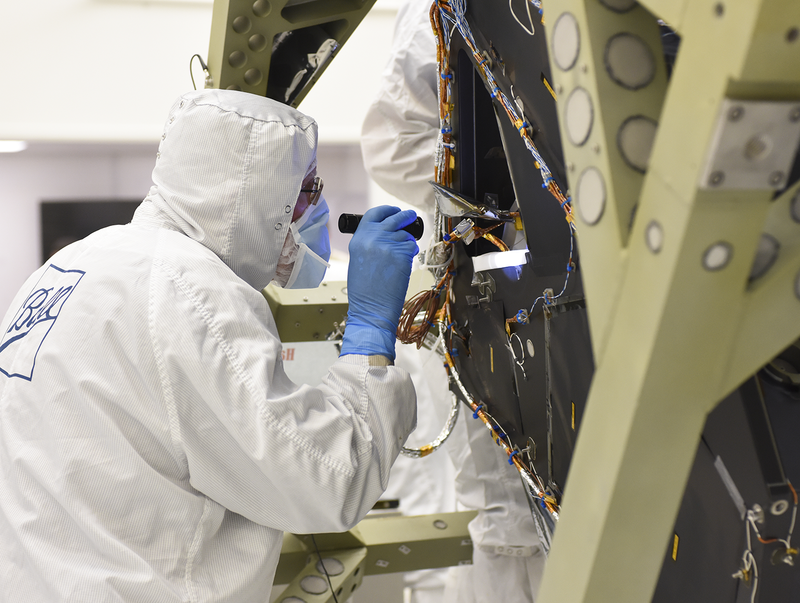 ⬆ At Ball Aerospace, a technician completes integration of the focal plane assembly, a key component of the Operational Land Imager 2 instrument, which will launch on Landsat 9 in December 2020. This entry is filed under Landsat 9, News, Technical News.